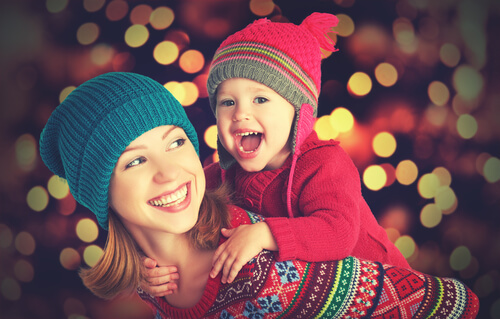 This holiday season, Murfreesboro invites you to celebrate the joy of the season with a full calendar of special events. From the traditional Christmas tree lighting to activities sure to interest and engage the children to elegant evenings with the arts, there are holiday events for every age group. Located in Rutherford County, Murfreesboro is the ideal place to make holiday memories that will last a lifetime. Holiday traditions are a big part of this joyous season. This year’s annual lighting of the Rutherford County Christmas tree takes place at 6:00 pm on December 5 at the Murfreesboro Public Square. Santa Claus will be there to greet the area’s children. There will be holiday music and dance performances. Downtown shops and eateries will be open late that night so you can enjoy a dinner out or do some holiday shopping. Murfreesboro’s Center for the Arts is offering a special holiday play. From December 4-20, the Center for the Arts will present Irving Berlin’s musical, White Christmas. Ticket information is available at www.boroarts.org or you can dial 615-904-ARTS. The Lamplighter’s Theatre, on Old Nashville Highway in nearby Smyrna, is offering another holiday classic, “It’s a Wonderful Life: The Radio Play.” Witty and wonderful, this is a live, 1940s-style performance. Evening shows start at 7:30 pm and take place December 4-6 and December 11-13. On December 7 and 14, the show starts at 4:00 pm. Dial 615-534-0148 or click here for ticket information. Oaklands Museum, located on North Manley Avenue in Murfreesboro, is offering Victorian Holiday Tours for Children to school groups, including home school groups. Children will enjoy learning about the era’s holiday traditions with a special program that includes Christmas stories and decorations. The program runs December 8-19. For adults, there is the Oaklands Christmas Candlelight Tour of Homes on December 6 from 4:00 pm to 8:00 pm. History buffs will love this tour of gorgeous historic homes. Contact the museum for further information at 615-893-0022 or via the museum’s website, www.oaklandsmuseum.org. Go further back in time at the Southeast Baptist Church’s Family Life Center on Minerva Drive in Murfreesboro. This annual free family event takes place December 13-14 from 1:00 pm to 5:00 pm. Three hundred church members dressed in period costumes come together to recreate a Bethlehem marketplace on the morning after Christ’s birth. There are live animals, including camels. Children and adults alike will enjoy the splendid array of characters and their performances. Music lovers have a lot to look forward to this holiday season. On December 17, at 7:30 pm, Katherine Sandoval Taylor will perform with the Murfreesboro Symphony Orchestra at the First United Methodist Church on West Thomson Lane.